Remembering the women killed by known men in the UK A peaceful creative ‘Murder March’ to remember and represent the women murdered in the UK by partners, ex-partners, family members i.e. domestic violence murders. 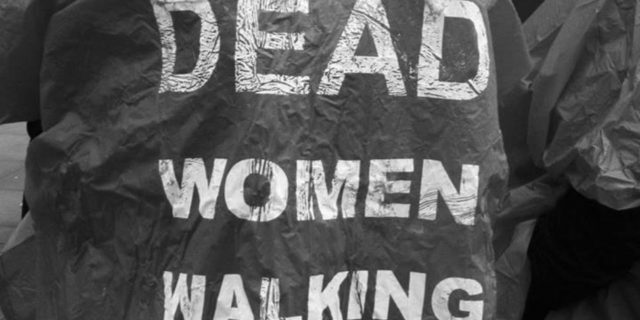 This #DeadWomenWalking walk is to raise awareness of the women behind the statistics of domestic violence murders. Raising awareness of domestic violence and fatal male violence against women to coincide with International day for the elimination of violence against women and the 16 days of action. The walk will be a visual and respectful march of women wearing red ponchos – During the walk the names of all the women killed by known men in the last 12 months will be read out. This is an event for women – women representing women killed and women stewarding themselves. Men are welcome to donate if they’d like to support.